Let’s begin this post by saying our hearts go out to anyone, and everyone, affected by the recent tornadoes; specifically here in Missouri, but in Alabama and all across the south. An EF-5 tornado leveled a significant portion of Joplin last weekend, taking out a hospital, high school, and hundreds of homes. As of this posting there are 125 people confirmed dead, and more than 200 that are unaccounted for. 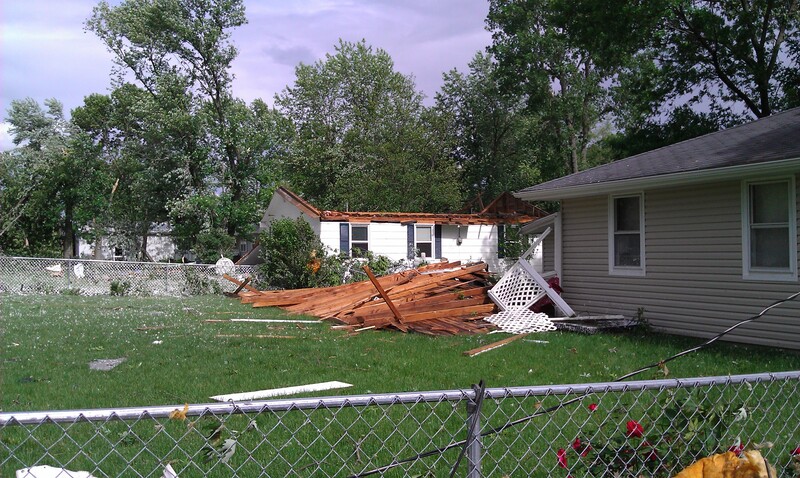 As if one devastating tornado weren’t enough, an EF-2 tornado destroyed a big portion of Sedalia on Wednesday. We’re absolutely amazed (but not surprised) by the outpouring of support we’ve seen for both of these communities across Missouri, and the nation. Information about these storms was chaotic at first, but outlets like the Springfield News-Leader, Joplin Globe, KOMU, and the staff at KMIZ have done a wonderful job at keep all of us up to date. You also have people here in Columbia originally from Joplin who doing a phenomenal job of not only updating the news, but driving the effort to support the recovery there. People like Brent Beshore and Erica Pefferman. Organzations like the Ozarks Red Cross, the Boys & Girls Club of Southwest Missouri, and many others are making the relief effort in Joplin a bit easier. Pizza Hut distributed hot meals to those in need this week; just one example of a community and nation stepping up to help a devastated community. Matt's neighbor lost his roof; and it landed on his patio. The same story as in Joplin is happening in Sedalia. Information is being distributed by the media as well as on Twitter and Facebook; community organizations are stepping up and meeting the needs of those affected, and the recovery effort is underway. It’s heartwrenching to see the devastation in both of these communities. But it’s even more heartwarming to see the outpouring of love and support for both communities as well. Our Follow Friday is for all of those people and organizations we’ve linked to. If you can, look through this list provided by the Springfield N-L and choose how you’ll help in the Joplin relief effort. And if you have a new patio you want to give to our buddy Matt, we’re sure he’ll take it.